Educational Qualification : 10+2 from a recognized Board/University.. Application Fee : Candidates have to pay Rs. 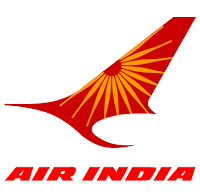 3000/- through Demand Draft in favour of “Air India Limited” payable at Delhi. No Fee for SC/ST/Ex-Servicemen. How to Apply Air India Vacancy : Interested candidates may apply in prescribed application form along with requisite documents & envelope must be super-scribed “APPLICATION FOR THE POST OF SENIOR TRAINEE PILOT (P2)” OR “APPLICATION FOR THE POST OF TRAINEE PILOT send to General Manager (Personnel), Air India Limited, Headquarters Airlines House, 113, Gurudwara Rakab Ganj Road, New Delhi-110001 on or before 25.09.2017.